San Francisco (Obama.net)- With the tension between the Republicans and the Democrats over whether or not the tax cuts from the Bush Administration should be extended to all American citizens or everyone except those who make over $250,000 a year, some members of the Democratic Party are beginning to bend in order to get the bill passed. A total of 31 Democrats in the United States House of Representatives have sent a letter to the Speaker of the House Nancy Pelosi and to the Majority Leader of the House Steny Hoyer. The letter suggests that it is probably the best choice at this point to extend the tax cuts to all American citizens regardless of income level. 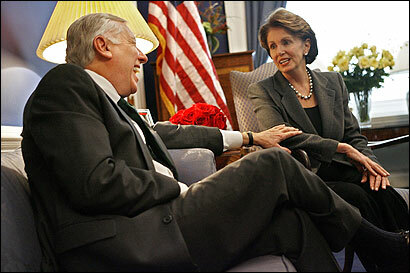 Pelosi and Hoyer are still backing Obama, but Hoyer did say that he is willing to speak to his fellow Democrats to see their views and concerns. The decision on whether or not to hold the vote on the issue before or after the November 2nd Midterm Elections has yet to be made by Democrats. John Boehner of Ohio, the House Minority Leader, has made it clear that while he believes that the cuts should be made to everyone, he will vote for Obama’s plan if it is the only option for he also sees the importance of passing the tax cuts extension. In polls conducted by CNN, the New York Times, and CBS News, the majority of Americans polled said that the tax cuts should not be extended to the wealthy of the United States. If the cuts for the wealthy are not extended, a projected extra $700 billion will be made yearly via taxes, which would help greatly in overcoming the national deficit and debt, as well as funding many of the programs recently instituted. With the economy making its way back up to where it was a few years ago, the exclusion of the wealthy from the tax cuts would be a great benefit to increasing the growth of funding for the United States government and thus its programs that benefit the citizens of the United States of America.